What are your legs telling you? Your veins main role is to return blood to the heart, but if the valves inside the veins fail, they can cause spider veins or thick, bulging varicose veins. If you have leg pain, swelling, or throbbing, contact us for a consultation. Our comprehensive vascular care begins with our commitment not only to doing things right, but to doing the right things. Have leg pain or leg cramps? Peripheral Arterial Disease (PAD) affects more than 18 million Americans and many are unaware. Are you one of them? We provide exceptional care that produces exceptional results for our patients. Our doctors and medical staff provide personalized treatment plans for your individual vascular medical needs. We strive for the best possible results using the latest state-of-the-art technologies at our premier, minimally invasive vascular centers and accredited vascular labs. Reclaim your quality of life! We are dedicated to the preservation of life and limb, and provide expert medical care in a welcoming environment of trust, compassion and understanding. Maryland Vascular Specialists is a leading, outpatient vascular care provider that is dedicated exclusively to the care of artery and vein disorders related to the circulatory system. With 12 locations throughout the state of Maryland and in York, PA and Hanover, PA (consisting of outpatient centers, vascular labs, and medical offices), you can get the best comprehensive care from diagnosis to treatment in an outpatient setting conveniently located near you. We are committed to providing personalized outpatient and surgical care and expert management of all vascular conditions such as aortic aneurysms, peripheral arterial disease (PAD), diabetic foot ulcers, leg ulcers, varicose veins and venous disease, carotid artery disease and stroke prevention, chronic wound care, limb salvage, and vascular malformations. Maryland Vascular Center is an award-winning provider that has been recognized for its highly-skilled expertise in minimally-invasive vascular procedures and open vascular surgical care. Maryland Vascular Specialists provides comprehensive services for the evaluation, diagnosis, and management of a full range of vascular diseases. Our specialty trained physicians and staff, combined with state-of-the-art diagnostics and evidence-based treatment procedures, are all centered on our number one goal of always providing the best healthcare experience for patients. Is Your Unexplained Leg Pain Stopping You In Your Tracks? Don’t ignore the pain – find out what’s causing it today!  THE PREMIER SPECIALISTS IN ARTERY AND VEIN HEALTH -- Maryland Vascular Specialists is a leading, outpatient vascular care provider that is dedicated exclusively to the care of artery and vein disorders related to the circulatory system.